Promotional Bat Shaped LED Flashing Sunglasses are suitable for a big list of events including Halloween parties, night events and zoo promotions. These custom sunglasses will light up with the help of Blue LED lights and will highlight the bat shape in a spooky way. These custom party sunglasses are coming in a one size fits all dimension and are presenting an imprint area of 1.5" x 0.2". Order right away to enjoy free artwork design, fastest turnaround time and also free online proofs facilities! 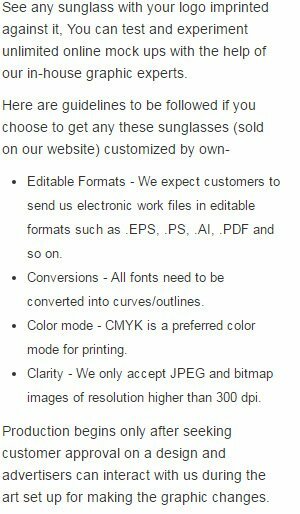 Request a quote to know price cuts that you can avail for wholesale Promotional Bat Shaped LED Flashing Sunglasses.